OPEN VIEWING DAYS THROUGHOUT EASTER. Come and find your very own nest egg this Easter at Hackney Grange. It's your chance to take a look around these stunning new homes for sale - GOOD FRIDAY, SATURDAY, EASTER SUNDAY & BANK HOLIDAY MONDAY - Join us for an Easter Egg Giveaway too! Anytime between 10am & 4pm. Chevin Homes have released initial detail of their new development. The Firs at Wyaston is a stylish development of just 10 individually designed properties offering three, four and five bedroomed accommodation. Enjoying a delightful location backing onto open countryside, the newly built properties are designed in the style of a traditional farmhouse with a range of barns and cottages. The thoughtfully arranged and designed properties take advantage of the open countryside views but are also designed to provide each property with its own privacy. Chevin Homes prides itself on creating luxury, bespoke developments with high specification as standard. 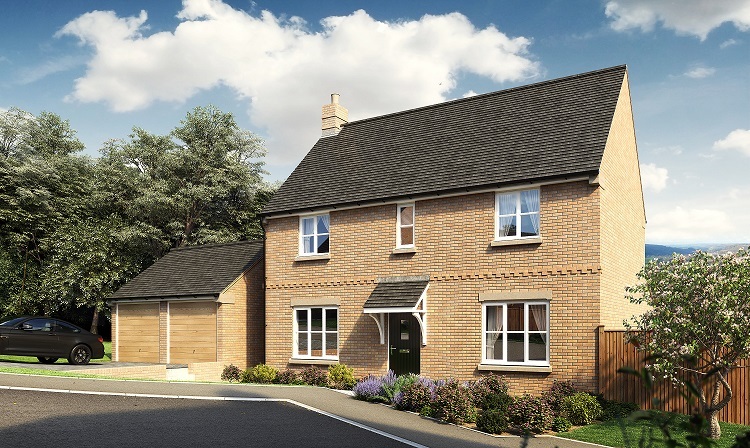 Their Hall Farm development, just along the A52 at Kirk Langley, was launched in Spring 2018 and sold out within two weeks, such was a demand for high end specification, prestige properties. Each home at The Firs will be built and finished to Chevin Homes' high standard and benefit from a structural warranty having stylish kitchens with integrated appliances and granite work surfaces, underfloor heating to grounds floor and floor coverings throughout included. Turf gardens to the front and rear are included as standard together with a spacious block paved driveway. Wyaston is a popular village 3 miles to the south of Ashbourne it has a village inn which is within walking distance to the development. A wider range of amenities which includes shops, schools and leisure facilities can be found in the historic market town of Ashbourne known as ‘The Gateway to Dovedale and the Peak District National Park’. 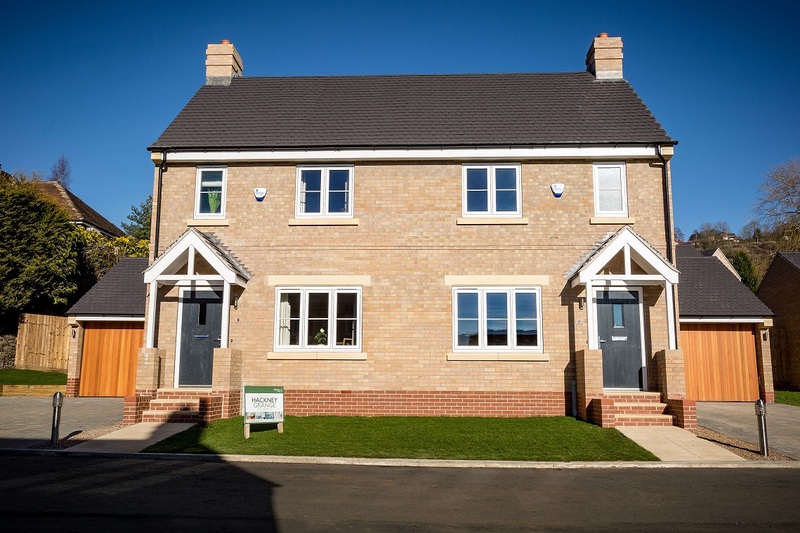 Prices range from £270,000 and as a Government approved Help to Buy house builder the scheme is available on all plots, while part exchange options will also be considered. For more information please visit www.chevinhomes.com or contact Lisa on 01332 366873. Enjoying a tranquil setting close to the hamlets of Kedleston and Mercaston, Hall Farm is Chevin Homes latest exclusive development consisting of four luxury two, three and four bedroom barn conversions, two stunning four bedroom contemporary new SuperHomes named The Ridge and The Gables and the spacious renovated Grade II listed farmhouse are all within the ECCLESBOURNE school catchment area. SupherHome The Ridge has far reaching rural views and a very private position within the stylish courtyard development. Nestling into the landscape The Ridge has distinctive modern zinc coloured metal exterior and inside the accommodation is simply spectacular with large open plan living areas, luxury master bedroom suite, in addition to three further en-suite double bedrooms. The open plan kitchen diner and family room has fully fitted contemporary units with ample room for a dining table for family meals and dinner parties. With a choice of modern kitchens with soft close doors in a choice of colours as well integrated AEG appliances including wine cooler, boiling tap and choice of granite work surfaces, the generous kitchen allows you to create the home that best reflects your needs and style. As well as underfloor heating, the ground floor enjoys feature large aluminium bi fold doors that allow natural light to flood into the airy spaces. The addition of a detached double garage with remote control door, large garden and paddock with a further 1.7 acre adjoining paddock available by separate negotiation makes this SuperHome ideal and not to be missed. The Ridge also benefits from a 10 year Premier Guarantee warranty. Priced at £850,000 - part exchange options will also be considered. For more information please visit. www.chevinhomes.com or contact Lisa on 01332 366873.